Politics Of Wildfire: A Burgeoning Government Business Enterprise? an open letter from Capt. William E. Simpson II – USMM Ret. Somehow over the past century the notion of what it is to be a ‘civil servant’ and having the great privilege of serving ‘We the People’ has morphed into the current notion of being elected as a demigod, and being above the people. We see it all around us today in politics… so that statement is self-evident. I think we’re getting snowed by many officials and politicians, and it’s to the point now where they don’t even seem to care if we even know or believe that. It’s really time for a change! And we can’t afford to sit on our hands and hope President Trump can do it all. Even if he’s inclined, he needs all Americans to start acting like we care for our beloved ‘America’ and all that it encompasses, as well as our own hard earned money, which pays for what has become the greatest ‘show’ on earth. Few people are aware that the United State Forest Service (USFS) is now spending half (50%) of their total budget on fighting wildfires, and doing so when there is a readily available, simple cost effective (virtually free) method for abating the dry grasses and brush that fuel these explosively hot and disastrous wildfires. As I write this, catastrophic wildfires are devastating many western states. The dead and dying trees are no doubt fuel for wildfires in our forests. But as any Cub Scout can tell you, you can’t ignite a dry log with a match, dry hot summer weather or not; it takes a lot of kindling to accomplish that feat. So when we think of previous burns as well as dry forests, the fact that grasses and brush reappear annually and once dried by summer heat provide the ‘kindling’, abating grasses and brush is a key initiative to mitigating wildfire risk. The math is very important because, even marginal mitigation of wildfires that cost many $-billions annually, would likely represent hundreds of $-millions in real savings for all American taxpayers. Everywhere in the world wherever a species of large herbivore has its population depleted or eliminated, vegetative (fuels for fires) materials (grasses & brush) become excessive resulting in a scenario where catastrophic wildfires take-over on an annual basis. The science is crystal clear and incontrovertible on this point. And it’s no coincidence that here in the western United States where wildfires are turning forests into ash year after year, we have depleted herbivore populations. And in other locations, deer and elk are virtually non-existent. As one of many examples I could easily make: In the state of California the deer population has plummeted from about 2-million animals to under 400,000 deer in the entire State. And this too is the ultimate result of defective management of large predators by California Department of Fish & Wildlife. You would think people who call themselves ‘managers’ would know-about and understand the foregoing science and the reports given the large amount of peer-reviewed studies that have been published. Sorry, that’s not the case; the forest and wildlife managers, including many people at the BLM are instead focused on two things in this order; ‘money’ & ‘power’, both of which are extracted from the people of America. But as most people know, these managers answer to their masters, the politicians and bureaucrats, who bear most of the blame for these wildfires. ‘Money’ as in enriching their budgets and protecting their new wildfire enterprise that creates more state and federal jobs at taxpayer’s expense of both cash and forest resources, and diminishment of critical watersheds. Is it dishonest and immoral to adopt a forest management plan, which concurrently rejects sound wildfire abatement concepts (such as ground fuel reduction via herbivore reintroduction), while currently allowing forests and property to be devastated annually simply to create more government-based jobs that are to be paid-for by already overburdened taxpayers? Managing an annual disaster with a focus as a revenue model is what I would call malfeasance. And given the obvious neglect of prioritizing a preemptive solution-based focus, as opposed to a reactionary response model, the use of the term malfeasance may not be unfair. And it certainly might be called incompetence. And ‘power’ is the ability to rule citizens using political deceptions, lies and methods of deflecting blame and discarding citizen input out-of-hand regarding any solutions forward by people outside the political and bureaucratic circles; they want to retain all power within their circles of influence. This is not how our founding fathers intended for our Constitutional Republic system of government to function; it’s currently a sham! Having spent many decades in and around the mountains of northern California and southern Oregon growing-up on the family’s working ranch, I have had a great opportunity to study first-hand the recurring wildfires and the socio-economic and environmental impact of catastrophic wildfires, along with the devastating effects of the closure of the logging industry. Recently I drafted an article, which posited a wildfire fuel abatement methodology using large herbivores, which unlike any other options, offers tremendous economic and environmental advantages, as further outlined herein. Many of America’s remote forested areas are not suitable for livestock grazing, even though there is an abundance of grasses and brush; the terrain is far too difficult for livestock management, which also makes fighting wildfires in these areas far more difficult and costly to fight, and firefighters die, while many others are injured. 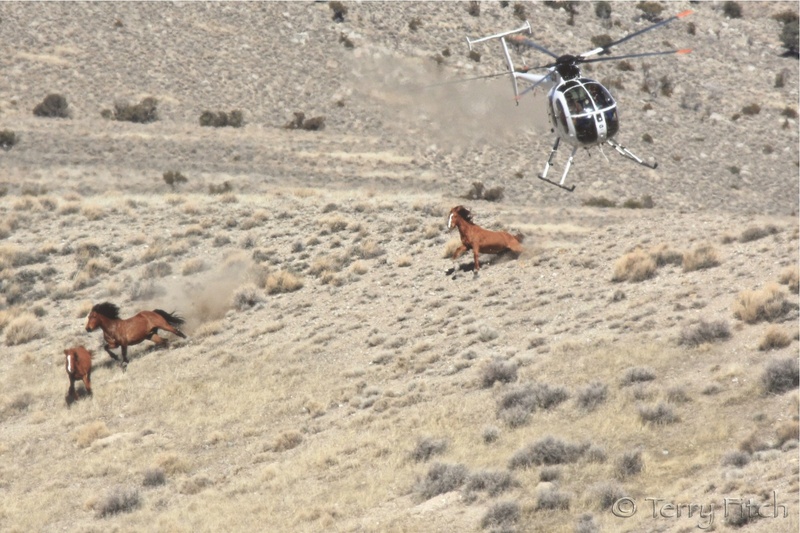 The article titled ‘Fire Brigade – The Value Proposition of Wild Horses’ was sent to my local County Supervisors as well as to the representative of my Congressman, Mr. Doug LaMalfa – (CA Dist. 01). Sadly and frustratingly I had the first-hand experience of being ‘brushed-off’ by a representative of my own Congressman, Doug LaMalfa (I wonder if he knows how his constituents are treated?). It’s funny how they only want to hear from citizens when they want even more of our money, or need to get reelected. Of course I think those days are coming to a quick end. In an email (herein below) from Erin Ryan, the representative of my Congressman (Doug LaMalfa) regarding my Fire Brigade proposal, I was told in no uncertain terms that “none of this is news” in regard to my novel idea for abating wildfire fuels using large herbivores “. Her observation was manifestly incorrect. I had sent my article ‘Fire Brigade’ in its entirety to Ms. Ryan, along with an introduction, some wildfire cost metrics and photos of examples of trees that had obviously benefited from the effect of symbiotic mutualism with large herbivores (in this case, wild horses). So when I received the response (below) from Ms. Ryan, I was of course astounded that it seemed clearly designed to discourage and defer my initiative by incorrectly alleging what I had proposed was nothing new, and incorrectly inferring that it somehow involved ‘tree cutting’, which would attract litigation, also incorrect since there is no “tree cutting” involved. The trend in the government methodology of ‘sidelining‘ citizens has been in widespread use by bureaucrats and politicians far too long, and it has inflamed citizens to elect Donald J. Trump as our President. Another tactic is making themselves completely unreachable except through so-called ‘gatekeepers’ who seem to meter access according to the size of your wallet. And now as we see, career politicians and bureaucrats seem to be revolting against our elected President, as they fear the voice of the people may be carried-out to some extent or another by President Trump. Time will tell, but this paradigm of government for and by the government must be brought under control. It seems like smart politicians would want to listen to citizens who pay the bills and who might have something valuable to contribute to a very serious subject that costs taxpayers $-billions of dollars annually. But alas, that doesn’t seem to be the case. Environmental lawsuits using the Equal Access to Justice Act are largely to blame. They sue every single management plan that involves tree cutting – even in the burned areas. None of this is news and it is not within the control of the board of supervisors as I’m sure you are aware. I could go on and on and on but have a meeting. You get my drift. Again, to be crystal clear, Ms. Ryan was provided the entire article and an informational intro, none of which mentioned “tree cutting”. Fires are devouring our forests, destroying habitats, killing thousands of animals and obliterating watersheds nationally as I write this. It’s in the national news as I write this! Watching all the wildfires around the U.S. burning forests and homes this early in the season, suggests that the losses may be monumental this year ($20-50 Billion?) in a now recurring annual nightmare! Just in and around our own County (Siskiyou) here in CA costs and losses have been in the billions of dollars! So as we learn from the response by the Congressman’s (LaMalfa) aid, ideas are quickly shot-down without even bothering to actually read them, and this further exemplifies the myopic and defective reasoning (stuck thinking in a small box) where they have clearly and undeniably missed connecting the idea of returning a native species back into their habitats to clean-up the fuel grasses and brush off the forest floors. In the case of Siskiyou County, CA (5th largest county in CA): By relocating the horses from the local BLM corrals over in Modoc Co into the more remote county, state and federal forested areas where there are no commercial grazing herds creating a competitive issue, the horses would naturally abate the excessive ground fuel loading at the rate of 30-pounds of dry grass and brush per horse, per day. . And it seems reasonable that the BLM would give other Gov. Orgs. 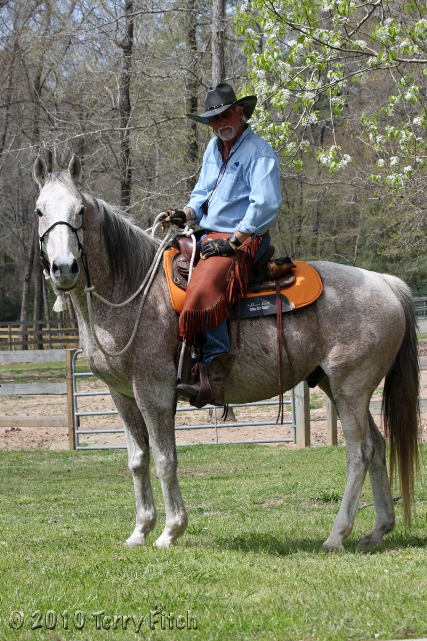 a sweetheart deal on horses to save their storage costs for horses. Just 10,000 horses can abate 300,000 pounds of dry grass and brush in a day. In just one-month that’s 4,500 tons of grass and brush abated! This amount of abatement is very significant! 40,000 horses can abate 1.2-million pounds of dry grasses and brush daily. DOI Secretary Ryan Zinke has discussed the slaughter of ~40,000 wild horses currently being held in multiple west coast BLM corrals, which according to one Associated Press story alleges will save the BLM $10-million. However, these same horses could be parceled-out into the various remote western state wilderness forest areas where there are no cattle competing for grazing, in remote difficult-terrain areas that are at high wildfire risk from excess ground fuel (dry grasses and brush) due to an acute lack of large herbivores. And those same 40k wild horses would abate 18,000 tons of dry grass and brush monthly. It would cost taxpayers many tens of $-millions of dollars annually to have men do this tough and dangerous job in rugged terrain. And many of these areas would not suffer any mechanized efforts very well. Respectfully, I call upon a U.S. Navy Seal and our now Secretary of the Department of the Interior Mr. Ryan Zinke to honor his oath, and put the American people and their hard-earned dollars first, by carefully considering the concept of the wild horse fire brigade. 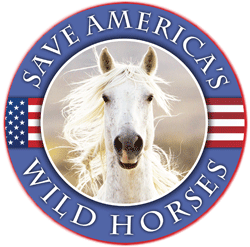 Instead of destroying a living American legacy that is innate to the spirit of the 40,000 wild horses in BLM holding pens, let these horses do their part for America and give them the job of abating the ground fuel to mitigate these catastrophic wildfires in select areas. Horses have served mankind with honor and loyalty for centuries, let’s give them back a little of what they have given mankind for so long. Wild horses are a native species according one of the world’s most respected and authoritative experts, Dr. Ross MacPhee – Curator of Vertebrates at the American Museum of Natural History. So only the uneducated would debate otherwise. So with even minimal abatement of dry fuel grasses and brush that fuel wildfires representing an annual $20-50 Billion wildfire problem, it’s easy to realistically project saving to taxpayers in the many tens of $-millions of dollars annually. So does it make any sense whatsoever to kill the wild horses that are the solution for a measly $10-M in relative savings to the BLM budget? Let’s not overlook that the wild horse solution would work year-round every year. And furthermore, that these horses could be located where they would not present competition to cattle for grazing and that all of the stallions among the 40,000 wild horses have been gelded, so they will not present a breeding problem. Time is of the essence in potentially implementing the wild horse Fire Brigade solution in that, these horses all may be killed sometime before year-end and currently sit in corrals instead of converting wildfire fuel into humus via their manure, which helps soils and forests. Citizens/Taxpayers: Please share this article with your groups, email lists and via Social Media. Is it possible to implement any public land project without a resource management plan amendment, EA and NEPA? reports and conclusions of the study to be made available on the DOI website. 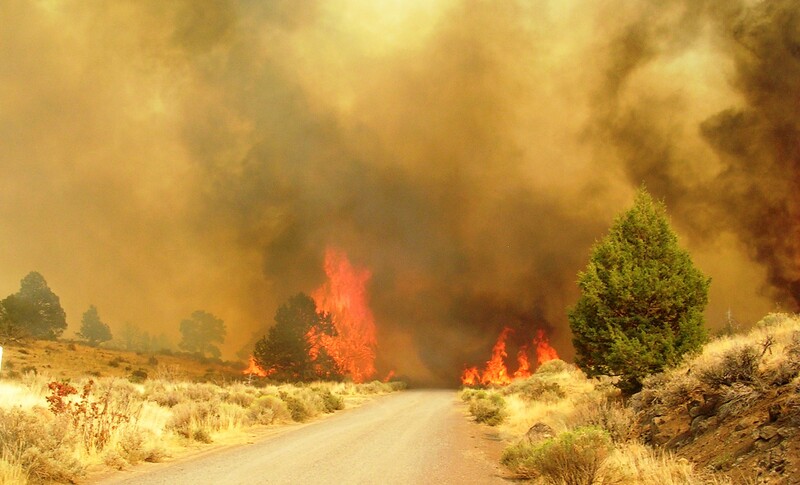 dried ground fuel that helps spread wildfires. it first emerges, before seed heads have a chance to develop and disperse. available, and economical fire brigade. irrigate because there is no water with the land. They graze together and our pasture has never looked better. It is a win win for BLM. Get rid of wild horses and employee more BLM to put out wildfires. I just wrote an email it senator Hellen in NV on this very subject. Industries around Reno NV leave the wild horses for that vwey reason. They help cut back on the fire hazard. I’m no scientist, only an analyst (budget) and have noticed a definite correlation of where wildfires start up after wild horses are removed. makes sense to me, but as history proves that’s too easy of a solution for the DOI & BLM, they rather go with lies & exaggerated math to blame the wild horses.